Follow us on Facebook to see the latest available wares! With abundant natural beauty at the Cone estate, the Guild bridges the landscape with its people in a splendor of craftsmanship. At the turn of the century, Moses and Bertha Cone built their home, nestled among the mountains with vast views of the Blue Ridge. For over six decades, the Guild and the National Park Service have opened the house to the public each spring. 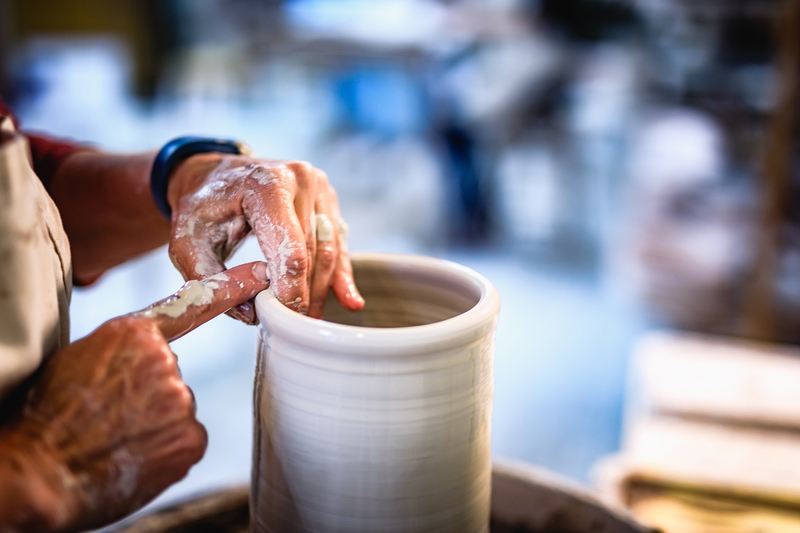 Turned bowls, ceramic tableware, woven garments, and more handmade crafts are displayed throughout the first floor in different rooms. Come enjoy our seasonal craft demonstrations on the front porch while soaking up the views. Our events for the 2018 season were a great success thanks to our friends at Blowing Rock Art & History Museum and the many members who participated. Check back next year for a calendar of events that will be happening throughout the 2019 year! We will officially open on April 5, 2019 for the next season! Children’s Hours are free, best suited for ages 4 – 12. Activities are hands on simple crafts. An adult or older responsible attendee must stay with children in order for them to participate.